The Marketing Society has honoured 13 industry figures for their contribution to marketing and advertising at its annual fellows cocktail party. 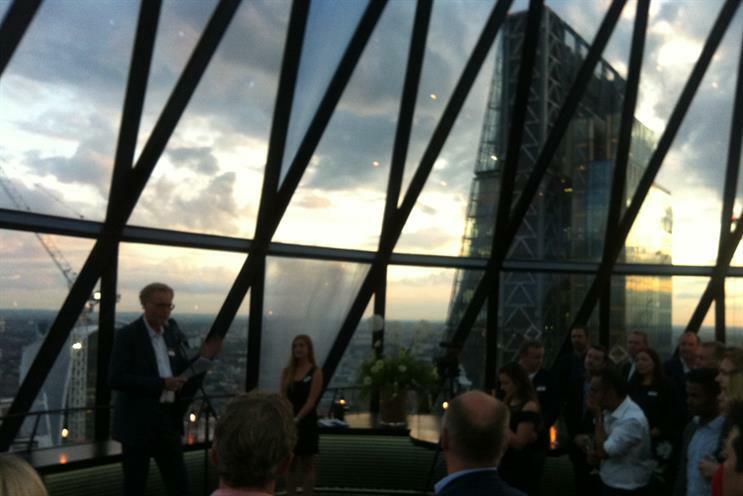 Held at the top of 30 St Mary Axe, better known as The Gherkin, the new fellows named included Cilla Snowball, group chairman and chief executive at Abbott Mead Vickers BBDO; Mark Evans, marketing director at Direct Line Group; and MediaCom UK chairwoman Karen Blackett. In addition, Matt Scheckner, global chief executive, Advertising Week, Chris Barez-Brown, author and founder of Upping Your Elvis; and Judie Lannon, former editor of Market Leader were recognised with honorary fellowships. Weener, who is based in Hong Kong and chairs The Marketing Society Asia, gave a speech on behalf of all of the new fellows, in which she thanked chief executive Gemma Greaves and the way in which the society was able to open connections and help its members to share ideas. She discussed HSBC Hong Kong’s decision to overtly show its support for LGBT rights by painting a pair of lions outside its building in rainbow colours – a move that was controversial in the territory, which does not have equal marriage, but won widespread support. "Marketing is about the people that that we are, and the creativity we can bring to our ideas," Weener concluded. What should marketers do to comply with the new 'right to be forgotten' rules?